Established in 1997 and located in Buxton, Derbyshire, we have a wealth of experience in the trading and processing of gold and other precious metals and stones. We process most materials including assayed bars, diamond set jewellery, manufacturing scrap, low grade materials including bench sweeps and residue as well as redundant stock… to produce fine gold products of 99.99% purity. 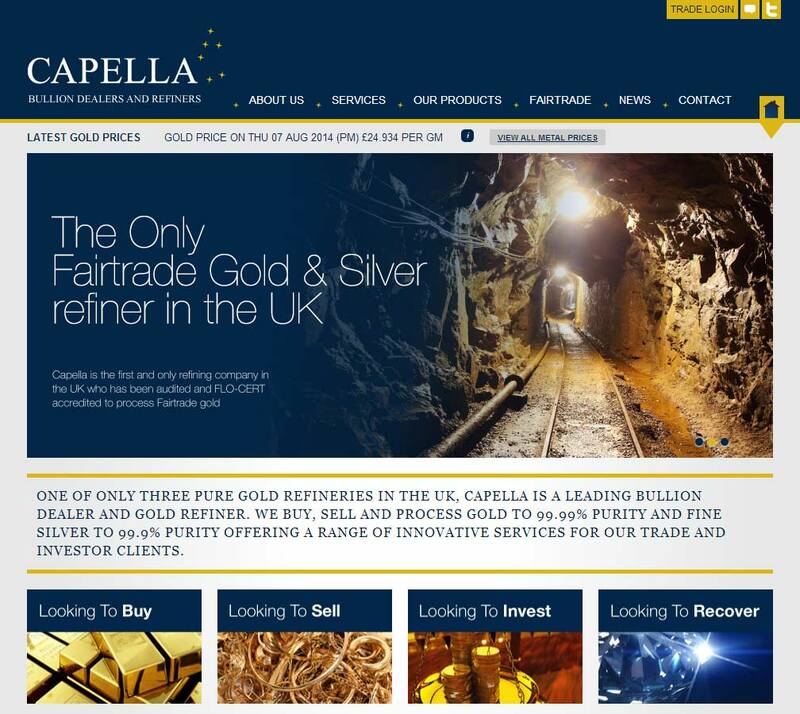 Capella Manufacturing Ltd are a well established UK precious metals dealer. They are principally precious metals refiners, being one of only three pure gold refiners in the UK and the only one to be audited and accepted to FLO-CERT fair trade standards. They buy and sell precious metals products, both standard investment grade bullion as well as their own unique in-house minted specials. 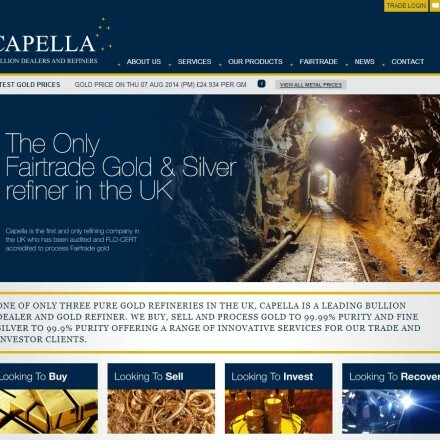 When doing business with Capella Ltd - please say you saw them in Bullion.Directory. Read or add Capella Ltd reviews and ratings using the "reviews" tab above. All Capella Ltd details are believed to be correct at the time of listing. Please report errors here. Capella are an outstanding company to deal with. I’ve now bought several of their polished and burnished half kilo silver bars and particularly like their almost retro look. Really excellent products would recommend to any stacker.